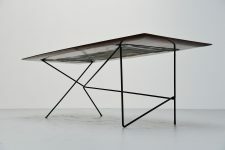 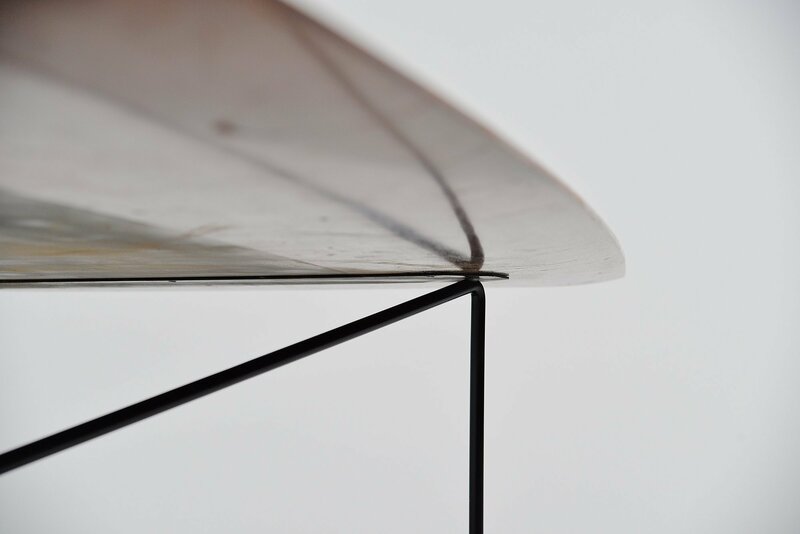 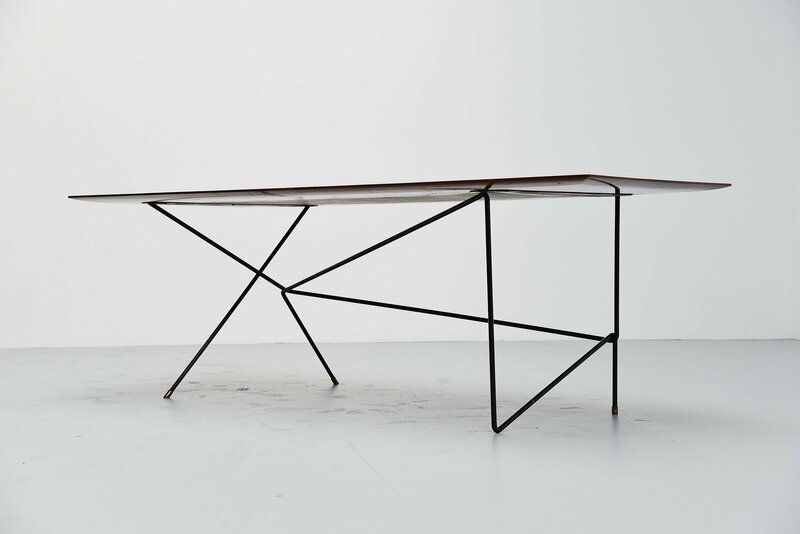 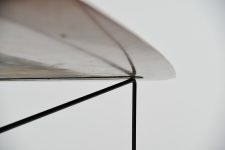 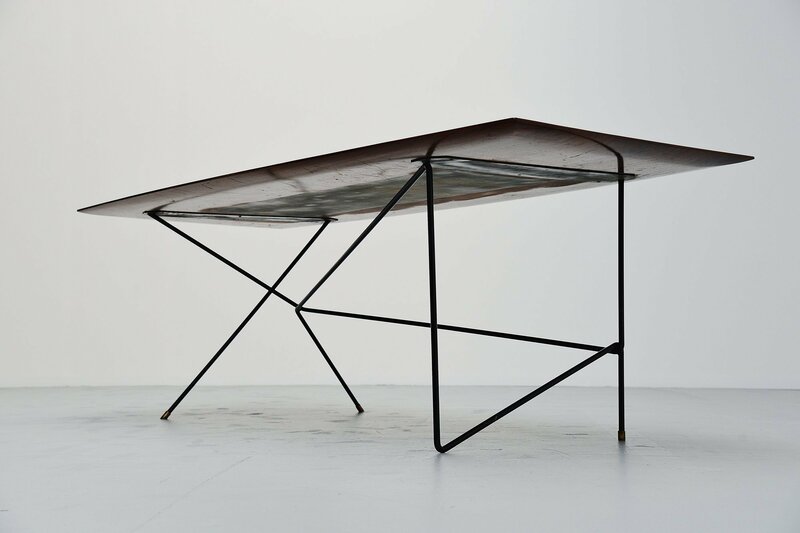 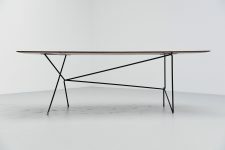 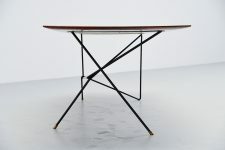 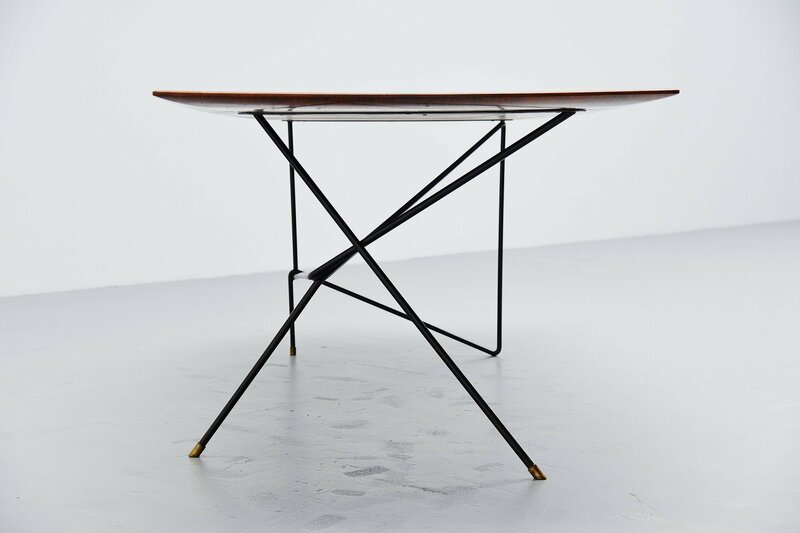 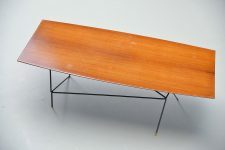 One off writing desk table designed and made by Italian architect Daniele Calabi, Italy 1950. 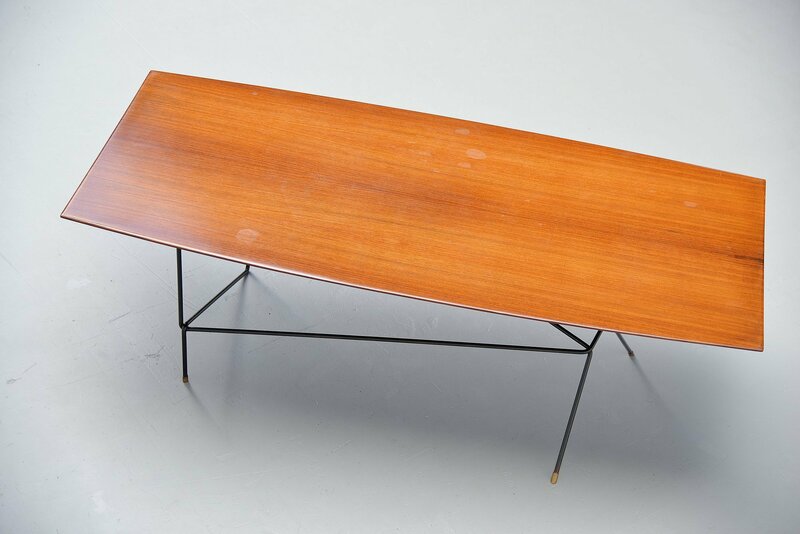 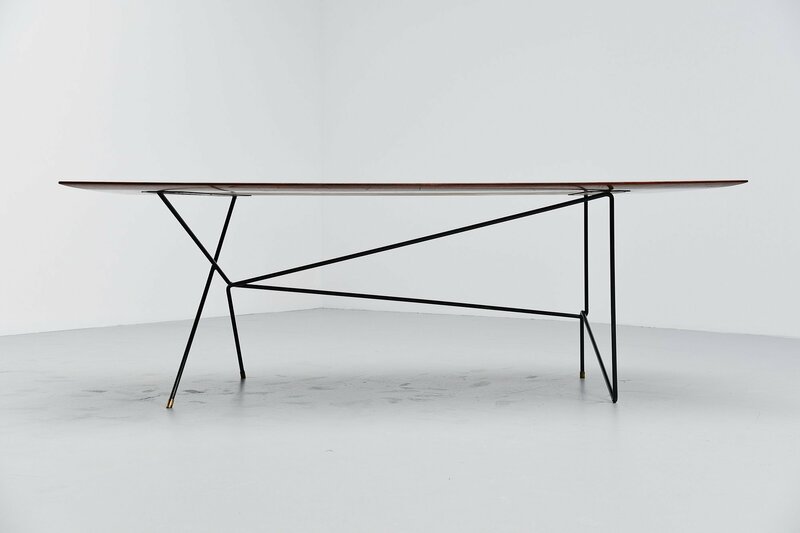 This superb desk table was made by Daniele Calabi for his own use in 1950. 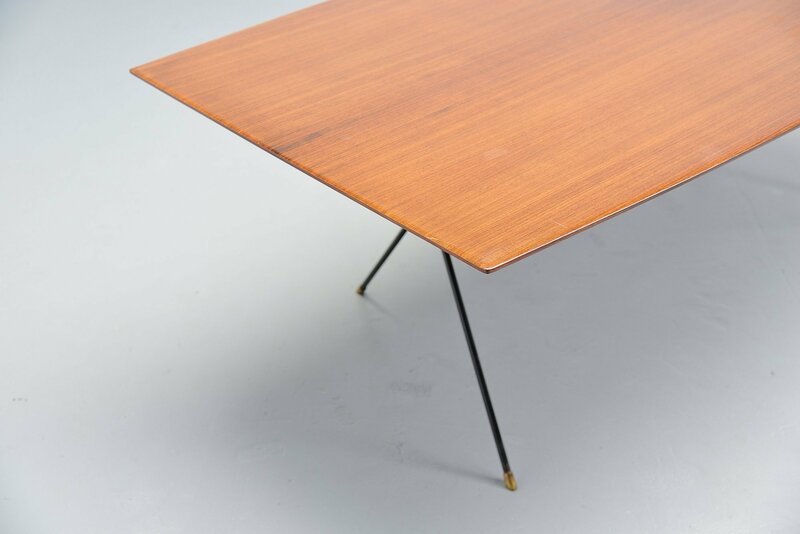 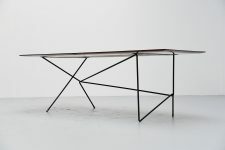 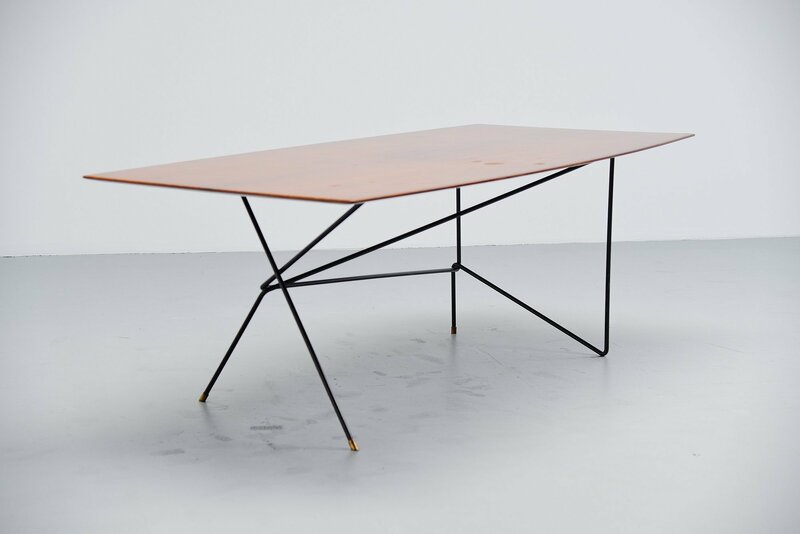 This is a one of a kind table with spectacular a-symmetrical wire frame with brass feet and rosewood oval shaped top. 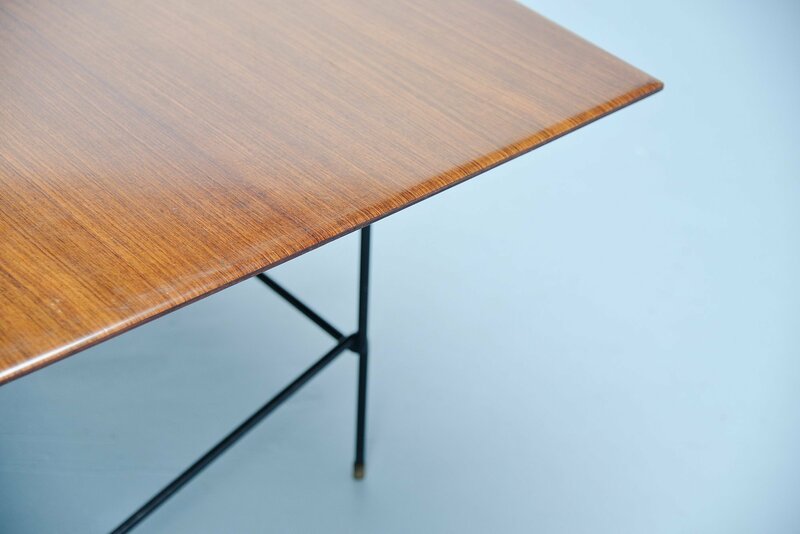 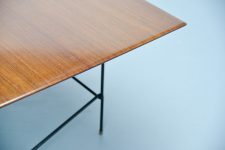 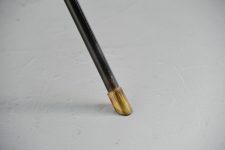 The table is in fully original ondition with some marks on the surface, if wanted this can be restored into perfect condition but because this piece is so special we prefered to keep this piece original. 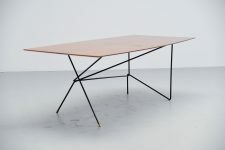 Truly amazing shaped table in very nice original condition with minor wear from age and usage.